Create Devices in bulk simply with a CSV file containing Device Names, API Labels, and Properties. 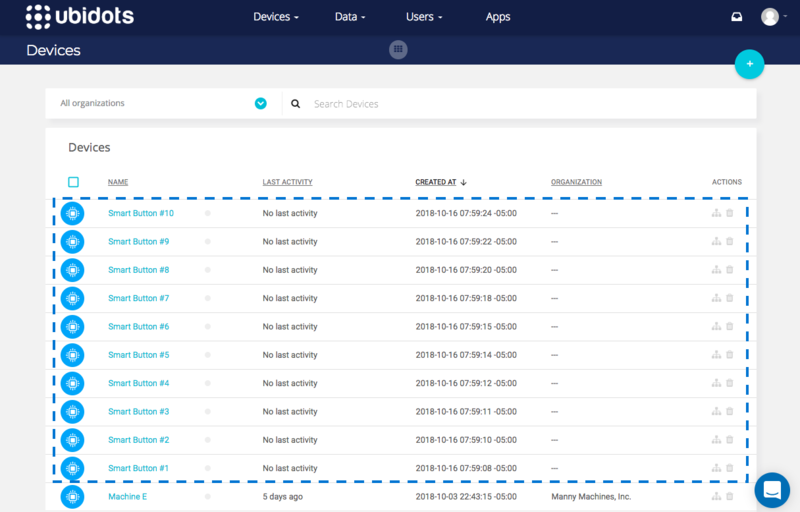 Device Types are a great way to streamline large-scale deployment of IoT hardware to quickly onboard hundreds or thousands of digital Devices in Ubidots. Not only will Device Types pre-configure the Properties, Variable Names, icons and Synthetic Expressions of newly detected devices in an App, but they also allow you to upload hundreds or thousands of devices with nothing more than a CSV file. To create devices in bulk using a CSV upload, simply follow the 7 Steps below. Step 1: Create a new Device Type or locate a preexisting Device Type. Step 2: Select the “Bulk upload devices” icon from the newly created or already existing Device Type. Tags (optional): A comma-separated list of tags for your device. Example: "button, restaurant, iot"
Step 4: Configure your CSV file with the desired values. Following our example, let's use the CSV file to create ten (10) smart buttons, each with predefined configurations. Step 5: With the configuration in the CSV complete, click on "Attach CSV file" to verify the file contents. Step 6: Click on the green icon in the lower right corner to Bulk create the designated devices from the CSV uploaded file. 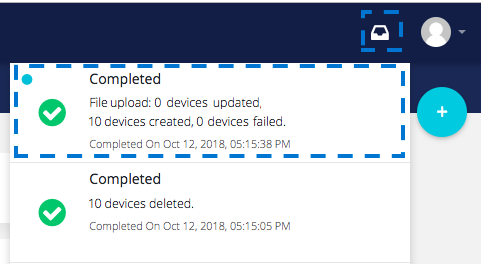 IMPORTANT NOTE: In your devices' firmware, make sure to use the corresponding device API Label to send data to the right device.